Air heaters are pictured in the foreground. At top is the extensive lay-down yard. 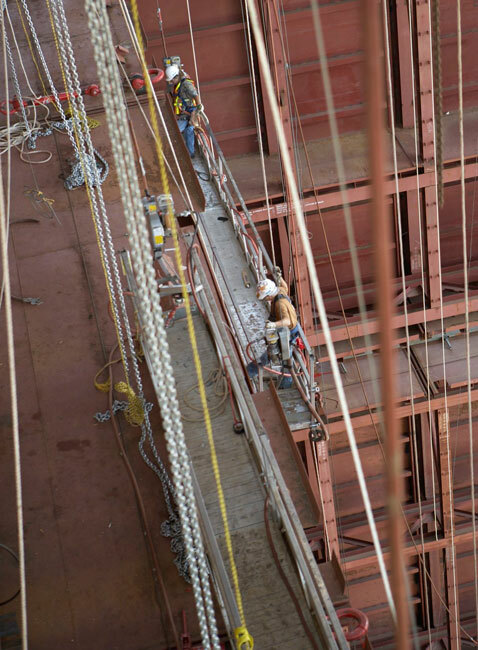 Members work from suspended scaffolding in the boiler area. 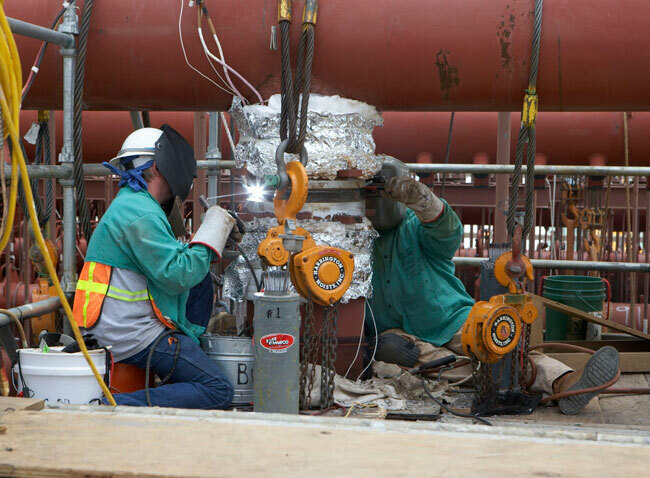 Boilermakers perform one of the many high-pressure, heavy-wall boiler welds at the Turk project. THE FIRST-EVER commercially-deployed, ultra-supercritical power generation unit in the United States is under construction in southwest Arkansas — and Boilermakers are playing a leading role in the project. The $2.1 billion, 600-MW J. W. Turk Jr. Plant will feature the latest environmental controls, according to majority owner Southwestern Electric Power Company (SWEPCO), an American Electric Power (AEP) operating company. Local 69 (Little Rock, Ark.) has jurisdiction over the project, which employed 350 Boilermakers at its peak, including members from across the United States. More than 1.1 million Boilermaker man-hours have been worked since the project began in 2008. Boilermaker involvement is scheduled to conclude this spring, and the start-up operation is slated for the fourth quarter of this year. Total construction jobs numbered 1,850 at the height of the project. 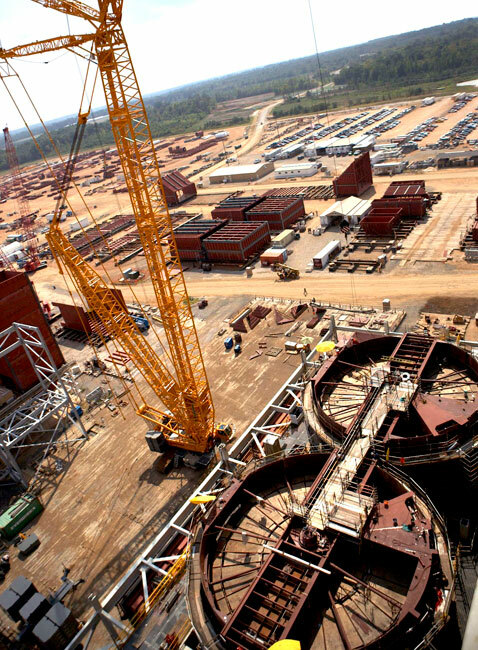 The plant is expected to employ 110 full-time workers and provide electricity to customers in Arkansas, Louisiana and Texas. Shaw Constructors, Inc. is prime contractor for the project. Babcock & Wilcox received the contract to supply and install the steam generator and air quality controls systems, with Alstom Power, Inc. supplying the turbine/generator and boiler feedwater pump turbine. WITH B&W HANDLING much of the construction effort, Boilermakers faced a substantial workload with demanding deadlines. 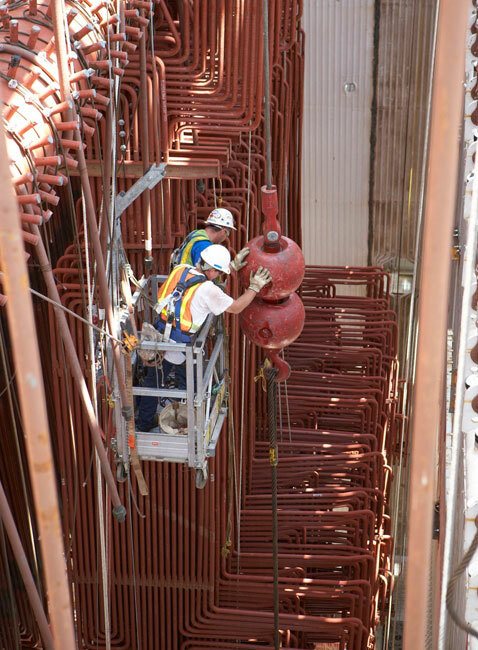 The B&W scope of work included the boiler, selective catalytic reduction equipment, dry scrubber, baghouse, fans, flues/ducts, pulverizers and piping. Through September of 2011, members had completed nearly 26,000 pressure-part welds, with a repair rate of just 1.17%. Where practical, major components were assembled on the ground and rigged for lifting into the proper position. Erecting the Benson spiral furnace presented special challenges, as welders attached tube panels in a three- dimensional fashion, working downward to a saw-tooth tub at the furnace base. “We met every deadline we had,” said Rodney Allison, who worked on the plant for two years before becoming business manager and secretary-treasurer for Local 69. Allison said manning the job was a bit tricky because of opposition to the project by environmental groups. The opposition created legal delays which idled workers, but AEP and SWPECO ultimately resolved the issues, and Boilermaker crews did their part to stay on schedule throughout the project. THE ULTRA-SUPERCRITICAL (USC) design of Turk Plant allows higher temperatures and pressures than can be handled by conventional power plants. This is achieved in part by using chrome- and nickel-based super alloys in the steam generator, steam turbine and piping systems. 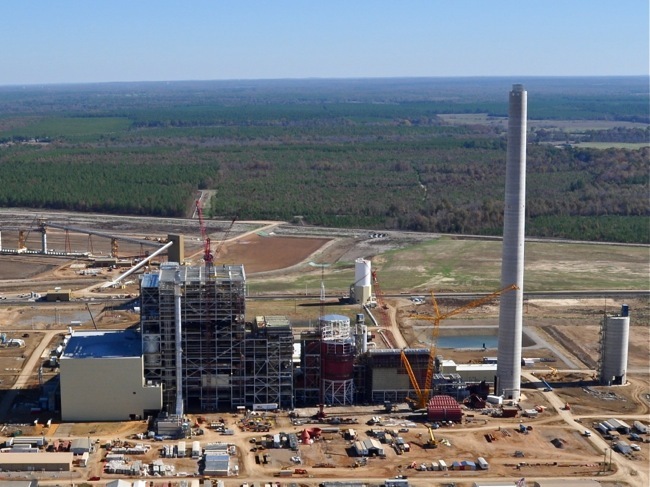 In a presentation to the MOST Tripartite Conference in Myrtle Beach, S.C., last fall, AEP representatives Tom Householder and Chris Beam, and B&W's Jeff Hines discussed how the Turk Plant will use less resources and cut emissions. Householder is AEP’s Managing Director of Labor Relations; Chris Beam is Managing Director of Projects & Construction. Beam estimated that compared with conventional coal-fired plants of similar output, the Turk Plant will use 180,000 tons less coal per year, 1,600 tons less lime and 14,000 tons less total ash. The facility will also use 1 million gallons less water per day. Beam said environmental emissions will be much lower as well: 320,000 tons less carbon dioxide, 150,000 tons less SO2, 100 tons less NOx and 25 tons less filterable particulate matter. Beam said he was very impressed with the quality of the workforce, particularly the Boilermakers' 1.17 weld reject rate.